Humans have been accidentally altering the planet’s climate for thousands of years. Soon, it may be possible alter it intentionally. The deliberate, large-scale manipulation of climate is called geoengineering. The term encompasses a variety of proposals, from pulling carbon dioxide out of the atmosphere to reflecting sunlight back into space in an attempt to slow the earth’s warming. Global geoengineering tactics haven’t yet been deployed, but as climate change starts to spin out of control, support for some forms of geoengineering seems to be growing. Climate Engineering and the Law will go on sale April 21. However, there’s a lot that can go wrong when it comes to modifying the complex global climate system, and the world is not prepared for the problems that might result. A new book coming out April 12 points out the major holes in national and international geoengineering regulation, and lays out a framework for improvement. 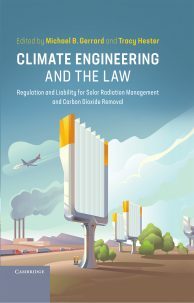 The book, titled Climate Engineering and the Law, was co-edited by Michael Gerrard from Columbia’s Sabin Center for Climate Change Law and Tracy Hester, a graduate of Columbia Law School who now teaches at the University of Houston Law Center. Gerrard is also chair of the faculty of the Earth Institute. The book draws a distinction between different types of climate engineering strategies. Techniques that simply pull carbon dioxide from the air are unlikely to have global side effects, so they don’t need to be regulated internationally, Gerrard says. However, solar radiation management projects, which would block some sunlight from reaching the earth—for instance, by dumping tiny reflective particles into the upper atmosphere—could have harmful consequences around the globe. Famously, the 1991 Mount Pinatubo volcanic eruption spewed so much ash into the air that it temporarily cooled the global thermostat by one degree Fahrenheit. 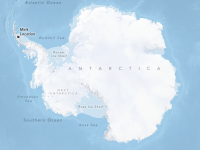 However, the eruption is also thought to have shifted precipitation patterns, causing floods along the Mississippi River and droughts in the African Sahel. Deploying solar radiation management techniques could have similar side effects. Such proposals don’t receive much support from the scientific community. Who decides whether a geoengineering project should go forward, and what approvals should be required? What happens if something does go wrong—who is at fault, and what compensation should be provided? These are just some of the questions addressed in the book. State of the Planet interviewed Gerrard to find out more. State of the Planet: Why did you decide to explore climate engineering, and why now? Michael Gerrard: We perceived that both carbon dioxide removal and solar radiation management would, in time, become important parts of the climate change dialogue. Given the current political environment, it has taken place much sooner than we expected. All of the projections for how the Paris temperature goals can be achieved assume CO2 removal from the atmosphere at a massive scale. But there has been very little analysis of what are the legal implications of doing that. We are absolutely not advocating the deployment of solar radiation management. However, we think there is a significant chance that someone will try it in the years to come. It’s quite important that there be a governmental structure so that the legitimacy of such efforts can be determined, and liability assigned in case something goes wrong. It’s much better to do that in advance than in the midst of deployment. What are the biggest legal issues when it comes to climate engineering? For carbon dioxide removal, there is no law at all that directly addresses it. Most proposed forms of CO2 removal have only local impacts, so it’s appropriate for those to be governed at the local or state level. The greatest need is for an economic incentive such as a price on carbon, to induce R&D and deployment. The most recent budget bill surprisingly does contain a tax incentive for carbon dioxide removal. It may not be large enough, but it’s hopeful. In contrast, solar radiation management has global impacts and therefore some form of global agreement is important. So far, we don’t even have national controls, let alone global controls. Today, someone could launch a fleet of airplanes to spray aerosols or other substances into the upper atmosphere, and it arguably would not violate any laws. That needs to change. How might the world respond if that did happen? It’s not clear that any legal action could be taken. There are treaties that govern the use of outer space, but those only restrict military or other hostile uses, not something with a benevolent intent. One very concerning scenario is if a country undertakes a solar radiation management operation in order to protect itself from what they see as a massive climate threat, and a few months later there is a terrible weather event elsewhere in the world—which will happen, because there are always terrible weather events. The countries that are victims of that weather event might blame the country with the geoengineering experiment and seek financial compensation or worse. Another very concerning scenario would be if one country launched airplanes or other devices to spray aerosols into the atmosphere, and another country thought that this would harm them—if there are no applicable laws to resolve the dispute, we have the makings of a military conflict. It’s much better to come up with rules and mechanisms to resolve these disputes in advance, rather than have countries shooting down other countries’ airplanes. What would a group that regulates geoengineering look like? What would it do? The elements would include an international body, for instance under the United Nations, that would establish criteria for when geoengineering deployment is appropriate. It would approve or disapprove geoengineering deployment. It would hopefully include the creation of a fund to provide compensation for victims of adverse impacts, and rules for when such compensation is appropriate. How do the current legal gaps impact geoengineering research? Currently there’s discussion of small-scale atmospheric experiments that are very unlikely to have adverse impacts, but that could yield important information about the feasibility and potential impacts—positive and negative—of deployment. I think those should go forward, so that if the time comes when deployment is seriously considered, more information will be available for a sound decision. On the other hand, there were some rogue experiments several years ago in dumping iron filings into the ocean, and those do have potential negative impacts, and that kind of thing requires governance. I think a future governing body would come out with criteria for when approval is needed for these types of experiments. What’s happening, if anything, to fill these legal gaps? So far there have not been any formal discussions in the United Nations, but there are some informal discussions taking place. 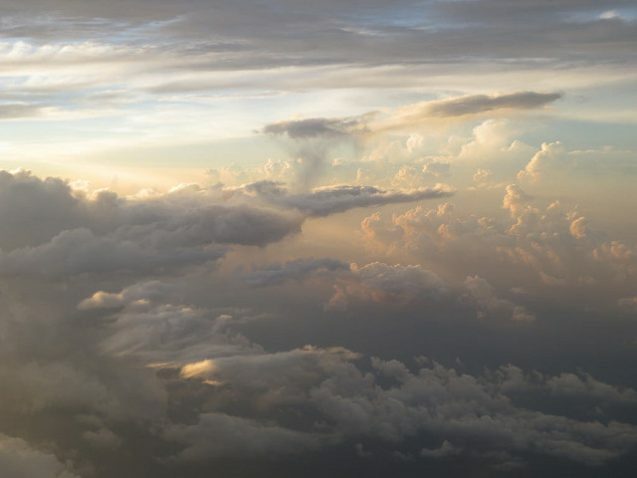 Janos Pasztor, the former senior adviser to the U.N. Secretary-General on Climate Change, is working through the Carnegie Climate Geoengineering Governance Initiative to set up informal international discussions on geoengineering governance. That’s very constructive. 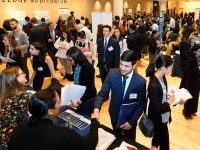 Getting a formal U.N. process going can take many years, and can be burdened by many compromises, so having an informal process to get the ball rolling is a positive step. Update, 4/10/2018: An earlier version of this post misstated the book’s release date. The post has been updated with the correct date. Hi Thomas. My opening statement is not false; we’re altering the climate every time we burn fossil fuels to drive our cars or heat our homes. This is something that thousands of the world’s scientists–no doubt many of them also from Cornell–have independently concluded.